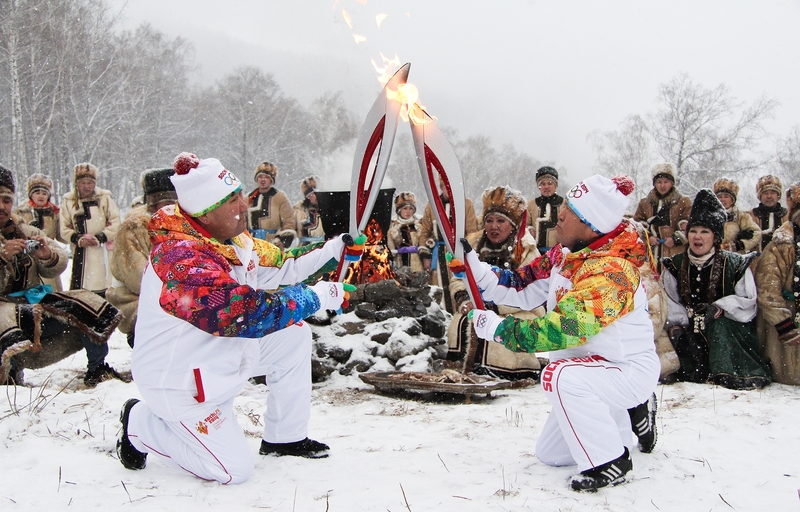 Two months before its flame would light the cauldron at the Winter Olympics’ opening ceremony in February 2014, Russian organisers arranged for the Olympic torch to pass through the remote region of Altai. In a part of the world where traditional dress is still worn and ancient shamanism still practiced after hundreds of years, the torch relay team sought to ask an unusual favour. It’s one the locals are unlikely to have received before, or since. For there, in a region straddling the borders of Kazakhstan, China and Mongolia, and where the annual temperature averages a bitter -3°C, Altai shamans were asked to pray for snow. The divine intervention was not intended for the Altai Republic or its effortlessly frosty capital town of Gorno-Altaysk, but for the Olympic host city of Sochi, 5,000 kilometres away on the Black Sea coast. Before being awarded the Winter Games, the city’s main renown was as a tourist hotspot for Russians to flee the cold weather. With a subtropical climate, the beach resort had been a favourite summer retreat among the country’s elite, boasting visits from Joseph Stalin and Vladimir Putin. In contrast to the 85 days of snow in Russia’s shaman-inhabited hinterlands, Sochi experienced only two snow days in 2013, producing less than a centimetre in total. With an average February temperature of 10°C, the Winter Olympics had arrived at the warmest city in Russia. Following several test events that were cancelled due to a lack of snow, Organising Committee President Dmitry Chernyshenko and his team were ready to try anything to ensure the conditions suitable for the biggest winter sports event on the planet. The shamans duly obliged. But Sochi was not the first host to harbour concerns about the weather. Given the event’s reliance on the elements, barely a Winter Olympics has gone by without Mother Nature making her mark. At the second Winter Olympics in 1928, Switzerland’s Alpine town of St Moritz saw the opening ceremony gatecrashed by a violent blizzard. Although it damaged the open-air stadium and made parading 400 athletes from 25 competing nations nigh on impossible, it wouldn’t be long before its accompanying white blanket would be much missed. Just days later, a warm foehn wind emerging from the Albula Alps saw temperatures rise dramatically, causing major disruption to the schedule. When competitors set off at first light in the 50-kilometre cross-country ski, the crisp morning air was freezing. By midday, the foehn’s balmy influence saw the mercury rocketing towards 25°C, with Per Erik Hedlund the only skier able to handle the freakish conditions. The Swede finished 13 minutes ahead of an exhausted and bewildered field. The unexpected heat saw a number of events postponed. The bobsleigh competition was cut from four runs to two, while the precarious melting surface resulted in the 10,000-metre speed-skating event being cancelled completely. The Argentinian contingent, the first Southern Hemisphere nation to compete at the Winter Olympics, must have wondered why they’d bothered to forgo their airy alpargatas in favour of bulky boots. But the unseasonable weather did not deter the hosts, as St Moritz put its experience as a longstanding ski resort to savvy use. 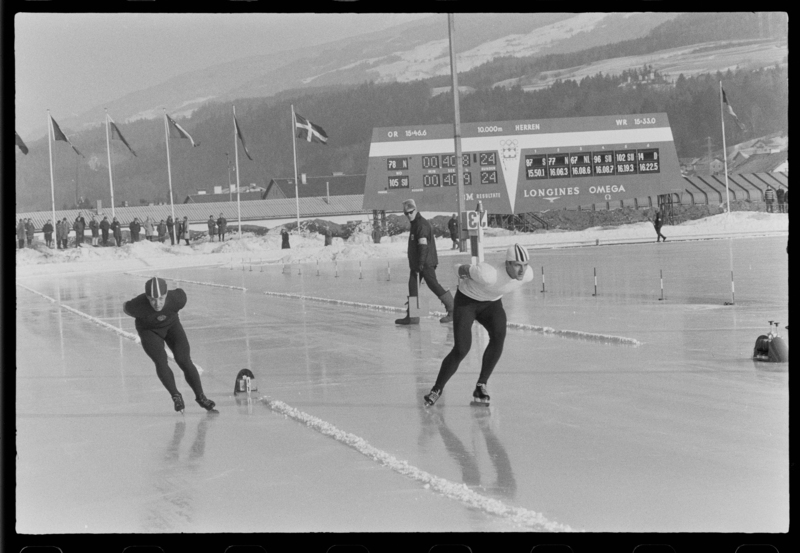 The figure skating was moved indoors to the Kulm hotel ice rink, while horse-drawn sleds were used for transportation around the venues. Despite the setbacks and delays, the Games were a success. A 15-year-old Norwegian figure skater by the name of Sonja Henie became the youngest ever Olympic champion, a record that would stand for over 70 years. 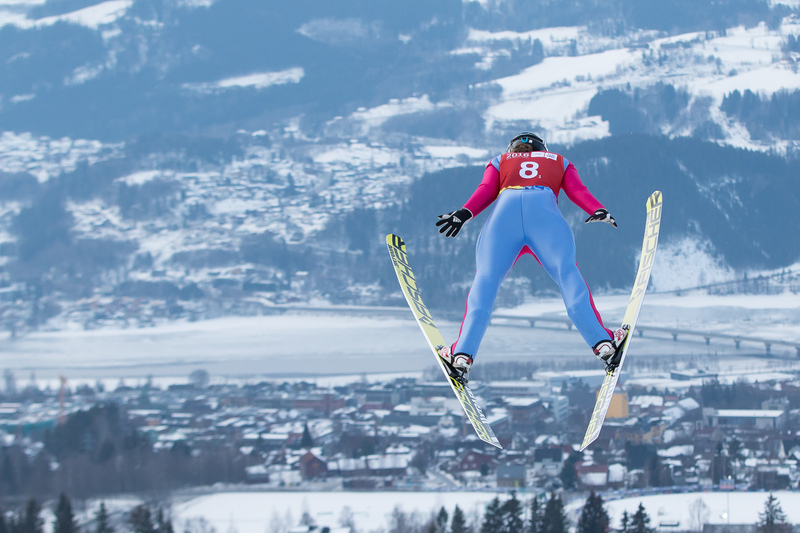 The skeleton made its Olympic debut on the ice track considered the birthplace of the sport, the Cresta Run, and the spectacular Olympiaschanze ski jump was unveiled as the world’s highest. It remained in use for 80 years. Showing admirable composure, flexibility and stubborn resolve, St Moritz cut steps in the ice for its successors to follow. Four years later, Lake Placid shrugged off the heat, not to mention the raised eyebrows of the bemused Europeans, by bussing in snow from over the border in Canada. Both Cortina d’Ampezzo, in 1956, and Innsbruck, in 1964, drafted in the military to haul snow from nearby mountains. In the case of the latter, so little snow fell that it required the Austrian army to carve 20,000 ice bricks to form the bobsleigh run, and pack – by hand – 40,000 cubic meters of snow into the Alpine skiing routes. By the time the Olympic flame returned to Lake Placid in 1980, its organisers didn’t need to knock on Canada’s door like a sheepish neighbour asking for sugar. Instead, machines producing snow were in place for the first time as the use of technology at the Games grew exponentially alongside its increasing prominence, popularity and cost. It wouldn’t be long before the International Olympic Committee (IOC) felt it was time for its winter showpiece to go it alone, announcing that the quadrennial event would, from 1994, no longer take place in the same year as its higher-profile summer cousin. Now a prime-time entity in its own right, the Winter Olympics included everything that comes with such a status: multi-billion-dollar TV deals, unyielding advertising commitments, ambitious venue constructions, lavish opening ceremonies and the scrutiny of millions watching worldwide. It meant St Moritz’s legacy of stubborn resolve would be needed more than ever. But there was no longer much room for its other two traits from 1928: composure and flexibility. A modern Winter Olympic Games simply does not entertain the possibility of postponements or cancellations. These days, when the Games begin, no blizzard, drought, or heatwave can stop it. But to beat Mother Nature at her own game, you need the brightest and most innovative minds in the business. Today, Chris Doyle oversees weather forecasting centres in Western Canada. Back in 2010, he held one of the most important roles at the Vancouver Olympics, that of Chief Meteorologist. Within weeks of Vancouver winning the bid in 2003, Doyle and his team were presenting to John Furlong, CEO of the Vancouver Olympic Organizing Committee (VANOC). It proved to be the start of a breathless seven-year project. Doyle was responsible for planning the entire weather operation; implementing technology, collecting data and training a team of forecasters for each outdoor venue. He brought in leading scientists from Canada and the USA to develop the world’s most advanced high-resolution weather models. Doyle’s team needed to design and install a state-of-the-art weather observing system that included both surface and upper air observations, a new Doppler weather radar, a UHF wind profiler, a profiling radiometer, and video cameras to provide the best possible observations at the outdoor venues. As he proudly states, not only did they complete all of this on time and within budget, but the Games’ legacy network means that residents of Vancouver are still benefiting today from some of the technology put in place for the Olympics. Even the radar tower found a new home: “We donated the tower that the radar was mounted on to the village of Whistler, who used it as the launching point for one of those sky rides. So, it lives on!”. But a forecaster’s most crucial role is not simply collecting data, nor even interpreting it. It’s being able to communicate their findings to those without a meteorological background, from the public watching on the TV to the decision makers at the Olympic Games. And that responsibility, as the key bridge between the forecasting team and the Games’ executive committee, fell on the shoulders of its Chief Meteorologist. Doyle, who has since travelled to both Russia and South Korea to provide consultation to Vancouver’s successors, says his team’s forecasts influenced several key decisions at the Games. From using wind readings to set the start times for the ski jump, to completely overhauling the Paralympics schedule when it became apparent the high-speed events were due to clash with days of poor visibility. As a precaution, VANOC closed the Cypress Mountain resort to the public and called Doyle into an executive committee meeting with CEO John Furlong, where he was asked to provide the latest forecasts. It wasn’t good news. Among Vancouver’s contingency plans included the use of a snow reserve they had been stockpiling since Doyle’s early forecasts. Machine-made from 95 million litres of water, it was a technique that the Russians would adopt four years later. In Sochi, 25 million cubic feet of snow cloaked in thick reflective blankets proved such a striking view that these shimmering mountains became tourist attractions in themselves. To SMI Snowmakers, the architects behind these hulking masses, this was nothing new. From Sarajevo to Salt Lake, Calgary to PyeongChang, much of the white canvas on which the world’s elite athletes have been making history hasn’t come from the heavens, but from machines built in Michigan. Since 1974, SMI have brought a whole new meaning to the phrase sun’s out, guns out. Brooke Vanderkelen Alba is a third-generation snowmaker at SMI, the granddaughter of founders Jim and Betty Vanderkelen. Having been immersed in the wintry world of snowmaking since “right out of diapers”, she has witnessed first-hand the growth of the business from its modest beginnings at the back of a local carpet shop, to the global enterprise it is today. Olympic hosts can be filed into the latter. In Sochi, SMI helped build the Rosa Khutor resort from scratch, installing 450 snowmaking stations over 35 kilometres of slopes for the alpine, snowboard and freestyle competitions. In order to provide the 12,000 gallons-per-minute of water required, they built two lakes sourced by a mountain river, fed by 35,000 metres of pipes. And while gravity provided some welcome help, eight megawatts of pumping power was still required to deliver the water at high-pressure. 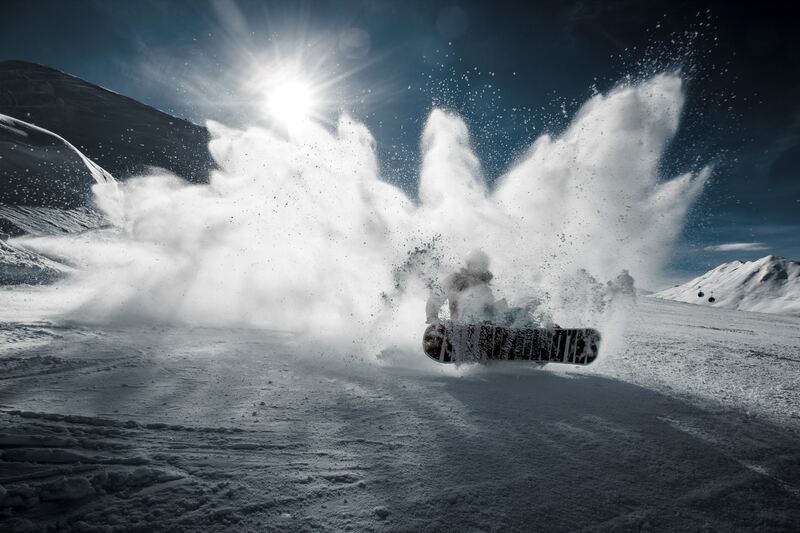 Nonetheless, SMI exude confidence in their abilities to make snow in even the most testing of locations. 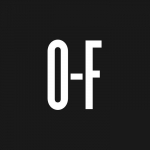 In their promotional videos, they promise to “extend your snow season with or without Mother Nature’s permission.” Another bold claim gives an insight into why it is their phone number Olympic organisers have been dialling for over 30 years: “because world-class sporting events are hosted not where the snow could be, but where it will be”. 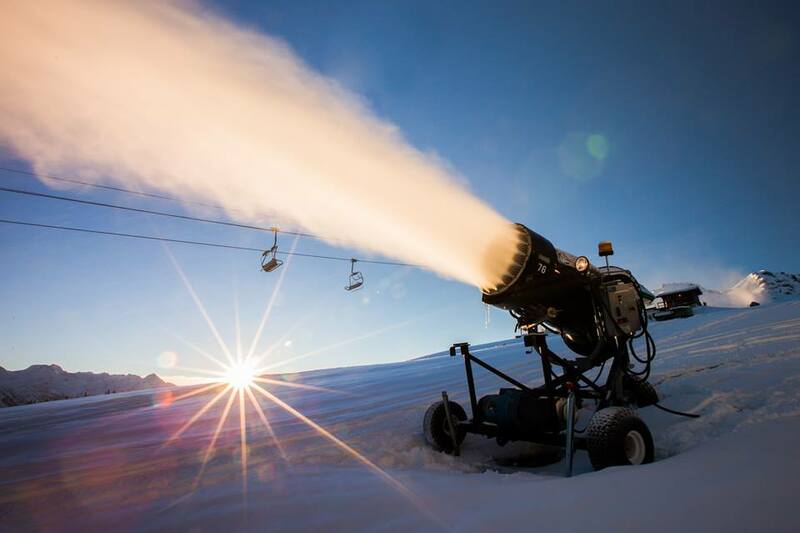 It’s good news for those in the snowmaking business. But it paints a far bleaker picture for the future of Winter Olympics. So baffled had Professor Scott been by the IOC’s choice of host, that in the months preceding the Sochi Games he and his University of Waterloo team released a paper on the future of the Winter Olympics in a warming world. Its conclusions were stark. It stated that the average high temperatures at host cities have been steadily increasing, from 0.4°C in the 1920-50s, to 3.1°C in the 1960-90s, to over 7.8°C in those held in the 21st Century. The report was careful to clarify that this is only partly attributable to the effects of climate change; with the IOC’s increased willingness to award the Games to warmer locations also a key factor. It’s a habit that they will soon be forced to reconsider. After applying current climate change models to previous locations, the report also found that just eight of the 21 venues – including 2022 hosts Beijing – would be climatically suitable to again host a Winter Olympics by the end of the century. In this scenario, the likes of Turin, Oslo, Vancouver and inaugural hosts Chamonix are deemed no longer capable of providing the conditions where even machine-made snow is able to help. And even if the low emission targets of the 2015 Paris climate accord are met, Sochi falls short within 30 years from now. It’s true that some athletes weren’t happy in Sochi. When the fifth Olympic ring failed to emerge from giant LED snowflakes during the opening ceremony, it foreshadowed the quality of the playing surfaces: close, but not good enough. Slush and mush were some of the terms used to describe the conditions, but others weren’t so diplomatic. The criticisms weren’t confined to the half-pipe. Champion cross-country skier Bill Demong lamented a lack of structure to the snow, making it hard to ski on. 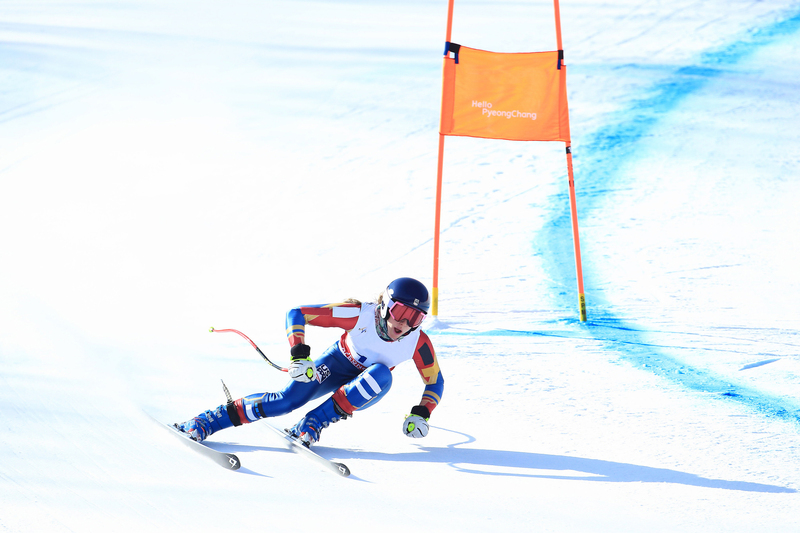 Along with a number of high-profile tumbles, temperatures that hit highs of 11°C in the mountains prompted skiers to stuff snow down their suits to cool down during races. With thermometers hitting an ice-cream melting 20°C at the coastal Olympic Park, it culminated in the bizarre sight of thousands of people turning up to watch ice hockey, skating and curling dressed in t-shirts and shorts. At times, it was warmer than the summer Olympics in London two years earlier. Whether the IOC took any heed of Professor Scott’s report is unknown, but one year following its release they awarded Beijing the 2022 Winter Games. The Chinese capital, like 2018 hosts PyeongChang, scores well in the report despite the lack of snow. Its cold and dry climate allows for enough snowmaking to turn a desert into a snow globe. Which will be useful, given that Zhangjiakou, the venue chosen for the skiing events, lies on the edge of the Gobi Desert. In awarding Beijing the honour of becoming the first city to host both the summer and winter Olympics, the IOC rejected a strong bid from Almaty. Kazakhstan’s largest city put authenticity at the heart of its campaign, promising “real snow, real winter ambience, real winter games” alongside its slogan: “keeping it real”. In praising the Beijing bid for its “focus on sustainability, legacy and transparency”, the IOC’s decision upset many among the international community concerned about a human rights record that has seen little improvement since China hosted the summer Games in 2008. Add worries about air quality, existing problems with water supply and the fact that plans for the Olympic village require the relocation of 1,500 residents, and it appears that the IOC still believes it has enough might and muscle to place the Winter Olympics wherever it wants to, regardless of geographical, political or climatological obstacles. During the first week of the Sochi Games, POW partnered with 105 Olympians in releasing a statement that called for a global commitment on climate change. Led by cross-country skier Andrew Newell, signatories included fellow Americans Danny Davis and Arielle Gold along with Norway’s Astrid Jacobsen and Italy’s Elena Runggaldier. “Snow conditions are becoming much more inconsistent, weather patterns more erratic, and what was once a topic for discussion is now reality and fact. Our climate is changing and we are losing our winters,” read the petition, also referencing Professor Scott’s research. While the release of the petition was meticulously planned to coincide with the start of the Olympics, the very public criticisms that followed were not premeditated, but a sign that long-time frustrations were bubbling over. In both cases, it showed that athletes were prepared to use their global platform to not only call out governments but also those governing their own sport. Echoing Professor Scott’s conclusions, it was clear that they too felt that the IOC needed to up their game when it came to factoring in climate, and climate change, when selecting future hosts. The following year, every country in the world signed up to the Paris climate accord that committed to limit greenhouse gases and reduce global temperatures. A year after that, Donald Trump was elected on a vow to renege on the deal. It’s fair to say that, especially in the States, POW has a fight on its hands. It mirrors the contradiction that lies at the heart of the Winter Olympics. Since adding environmental protection to the Olympic Charter in 1996, it’s true that the IOC have actively encouraged hosts to show off their sustainability credentials and offset emissions in a bid to produce carbon-neutral Games. On this, they would argue that they lead the way in comparison to other major sporting events such as the FIFA World Cup. But before handing out the green stars, consider the gallons of water used in snowmaking, the gigawatts of energy used in refrigeration, and the litres of fuel used for helicopters, trucks and other transportation. Then consider the peculiarity of natural snow no longer being deemed a prerequisite to hosting the world’s premier snow sports event. The IOC don’t appear to be changing tack on their drive to host the Winter Olympics in increasingly incompatible and resource-sapping locations. 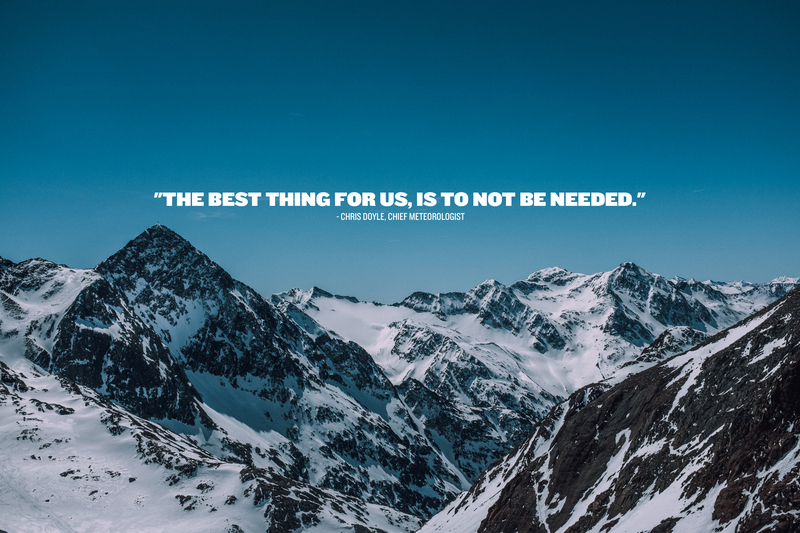 For that, the environment won’t thank them. Until then, one thing is for certain. From Beijing in 2022 to wherever the flame journeys to next, the expertise and ingenuity of snow whisperers the world over will continue to prove indispensable to its host cities. The men and women engaged in a quiet battle with the elements to ensure that, at least for now, the Winter Olympics continue to enthral a global audience of millions.